Way back in 2006, one of the first places where Into the Reach was reviewed was over on Flames Rising, which was the start of a long relationship I've had with the site as an occasional contributor -- and the start of my relationship with DriveThruFiction and the other DriveThru incarnations. Matt McElroy who runs the site has been awesome to work with, and it's through Matt and the Flames Rising team that I got to work on the anthology Haunted: 11 Tales of Ghostly Horror. So it's with great pleasure that I've now come full circle with Flames Rising: Matt posted the chapter one excerpt of the revised edition of Into the Reach at the site today. Thanks to all the people who posted the news on Twitter! I saw it from you first! 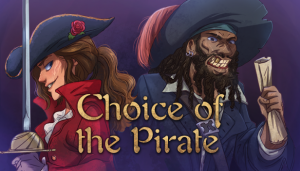 In other news, I am working on Choice of Pirate for Choice of Games, and the folks over at Facebook have been helping me come up with pirate shanties to listen to while I'm writing. Matt Ledder of Renaissance Festival Podcast had perfect timing with his Pirate Show Special, which he posted on the 24th. The stars must have aligned just right for that to come together just when I needed it. Thanks, Matt! Several of my friends from the Michigan Renaissance Festival helped me remember the name of a group I'd always tried to catch back between sets when I was singing with the Arbor Consort -- the Corsairs, who sadly disbanded in 2008. Luckily, The Jolly Rogers are still performing and selling CDs, so there's pirate music to spare! What pirate music and sea shanties do you recommend? If you'd like to recommend the pirate movies in your top ten, come join the discussion on Facebook. 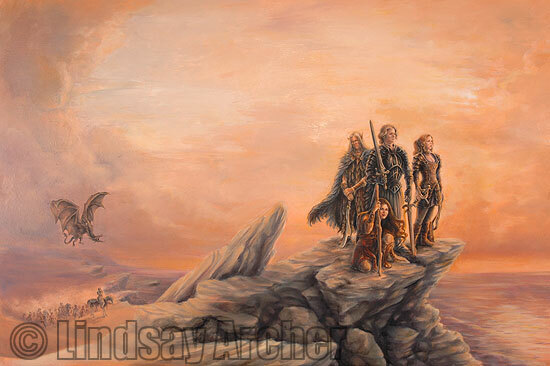 Into the Reach is republished! One of the Redemption Trilogy Kickstarter stretch goals that got funded was the re-editing and prettification of Into the Reach and Departure to be re-released as new editions. At long last, Into the Reach has been re-released! It's currently available through DriveThruFiction and Smashwords. I'll be releasing it at Barnes and Noble and Kobo as well -- and probably Amazon, though I'm hesitant about that for numerous reasons (but Bottom Line dictatese that it's a necessity) -- but I'm more concerned at the moment about getting Departure cleaned up and off to the backers than getting the widest distribution possible on Into the Reach. If all goes well, all three novels will be up everywhere by the end of the year. So hurray! That's a big hurdle jumped, and I can move on to the next things. Or, rather, I can keep working on finishing up the details on Showdown at Willow Creek (renamed to give it more Western flair), which is in beta, and get prepared for that release, while also moving on to the next things. What's in store here for the next few months? Finishing up coding on the autobio project. The project is now in four batches per year instead of two, which means more authors and more fun. This batch features Shiloh Walker and Margaret Weis, who were both fantastic to work with! Speaking of the autobio project, we've added some fun new structure, so along with the long essays, like Shiloh wrote for this batch, there are also interviews, like the one Margaret participated in. I tend to feature a lot of SFF writers, partly because I'm more familiar with their work, and partly because SFF writers respond really well to being invited. (Graphic novelists tend to be excited to be invited but too busy to contribute, though I keep following up!) I've been focusing on inviting romance novelists and have had a little success there, but I am looking for more mystery novelists, nonfiction writers, playwrights, and literary writers to invite. If you've got recommendations of approachable writers who interact with their readers online (that seems to be the recipe for successful responses to my invitations) who fit into those categories, I'd love to hear them! That's right, I'm under 30 messages in my inbox. That's a mark of success, and I'm sticking to it. I don't think it's been that way for months, and today, it happened by accident. How exciting! In other news about moving forward, the Viking Saga group is gathering for the first time since, I think, February this weekend, so we can get back to clearing the automatons of an upwardly-mobile sorceress from Baba Yaga's hut. Because only good can come from helping Baba Yaga. Right? Best news of the day isn't mine: it's that fellow Substrater Max Gladstone got a starred review of his upcoming novel, Two Serpents Rise, in Publishers Weekly. Go Max! There are few things that sap my motivation as much as having a cold, and my house got hit last week with a whopper. Threestripe and I are both on the mend, but it's been a quiet, sleepy time around the house as we've made our best efforts toward recovery. Thankfully, the Kickstarter was in its two-week quiet period after the funding was raised but during which any kinks got worked out. Luckily, we had very few kinks, and all should be progressing forward very soon. Shawn Merwin already has Into the Reach in his hands to edit, so I expect the momentum to start gaining on that project very soon. In addition to writing, I'm reading longlist books for the Mythopoeic Society Fantasy Awards, review books for PW and Kirkus, and I'm one of the readers for the Amazon Breakthrough Novel Awards this year. It's the first time I'm reading for ABNA in the romance category -- I've done the YA section before -- and I'm having a great time. The two titles I've read so far were really enjoyable, and I have high hopes for at least one of those titles to make it into the final rounds. It'd be nice if the rest of my titles were as fun as the first two! Since I can't talk about most the books I'm reading -- what are you reading now, and what would you recommend to other readers? Over the next two weeks, interviews about the Regaining Home Kickstarter should be popping up with me around the net, which is great, since we're getting into the final half of the campaign. Things are, thus far, going quite well -- as of this writing, we're at 58% funded with 14 days to go. But the extra press will definitely help toward reaching (and exceeding???) that goal. The podcast interviews were also a great chance for me to chat with some very cool podcasters. 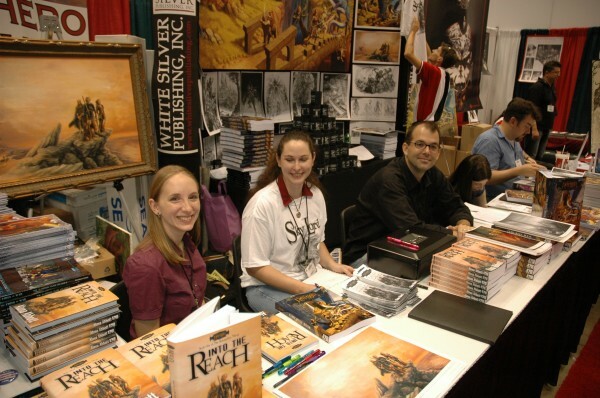 Brian LeTendre of course is an old friend of the blog -- he and I go way back to the very first days of Into the Reach being released, and Brian was a regular in my Mythic Greece game back when those heroes were still out changing mythology. Chris Sniezak of Misdirected Mark is a friend of Shawn Merwin's (Shawn is, apparently, a regular guest on the podcast), and also a great interviewer. I had a tremendous time chatting with both of them, and I highly recommend both Secret Identity Podcast and Misdirected Mark (which I started listening to and got totally involved in after finishing my interview with Chris). Chris also made me aware that I hadn't updated my website since Choice of Kung Fu came out, so clearly that needed to be fixed. 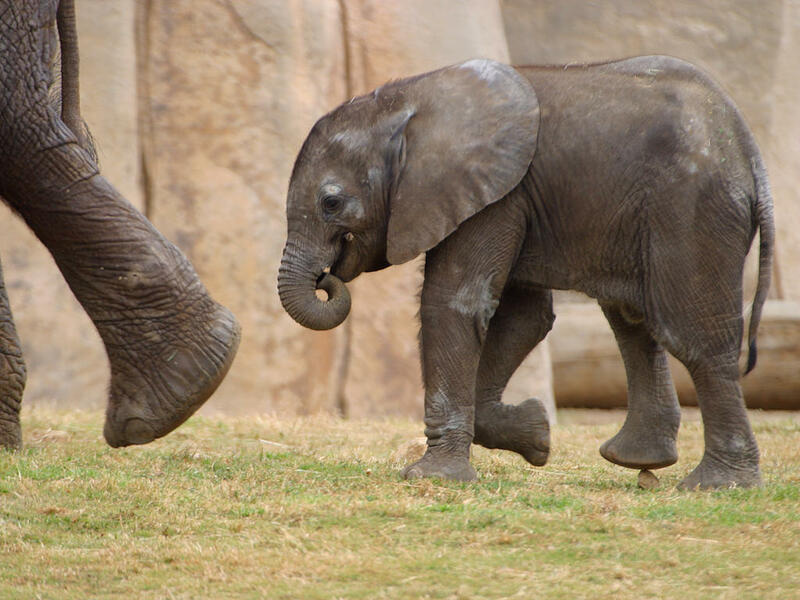 So instead of working on obituaries tonight, I've been updating my page, playing Marvel Avengers Alliance on facebook and Fallen London in another tab, listening to podcasts, and watching cute videos of baby elephants. All in a day's work! So, the world didn't end in December. That's just the start of the good things on my list as we're entering 2013. Yesterday, first day of the year, I got a (small) royalty check from the sales of Into the Reach and Departure, which is a great way to start a new year off right! I checked my sales report today, and the 99 cent sale definitely encouraged people to buy the books. So hurrah for that! I'm leaving the sale open through this weekend, and after that will be putting the books up at $2.99, which is the price point that I, as a reader, will impulse buy. At any rate, I'm thrilled with the uptick in sales and am glad that people are out there reading the novels! In addition, people have been saying nice things about Choice of Kung Fu. I don't know why it didn't occur to me that it would get covered in reviews, but I was surprised a few days after its release to see a lot of app reviews up on Google and iTunes -- by people I don't know. And most of them were nice! There were two really insightful reviews by bloggers that I thought I'd link to here: Dora at Casual Gameplay called the game "a rich, compelling narrative set against the backdrop of mystical ancient China" in her review. Tof Eklund of TouchArcade really got some of what the game was trying to do beyond just martial arts adventure; he wrote "what amazed me was seeing the Buddhist, Taoist and Confucian strains of thought, complete with their conflicts (but never categorical oppositions) that play out in the game, and seeing the opportunity to play according to those philosophies, or reject them all." I can't say how excited I am to see someone not only recognize my efforts in that direction, but to think I pulled it off. Beyond reviews, my buddy Brian LeTendre wrote up a really nice piece about me and my work at his blog See Brian Write. 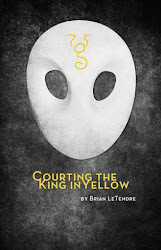 I've really been enjoying Brian's web comic MoStache, and I've just (belatedly) purchased his novel Courting the King in Yellow, which promises to be full of Lovecraftian goodness. Knowing Brian as a gamer as well as a reviewer and podcaster, I know he tells a great story in person, so I'm looking forward to reading his prose! In other news, 2012 was not an entire success: I did not make my reading goals for last year. Although I did read one non-work related nonfiction book (John "jaQ" Andrews's Quicklet on Castle Season 3, a novel by an autobio writer (The Silver Bowl by Diane Stanley, plus several David Weber novels), three rereads, several new graphic novels that weren't review books, and four kids books that weren't for MythSoc, I only read one novel outside my genres (The Orchid House by Lucinda Riley), and only drew down my physical TBR pile by two books instead of twelve. This year, I'm setting that TBR goal higher, and repeating most of the other goals. Interestingly, out of 141 books I read (sometimes grouping together kids books and graphic novels), around 80 of those were for review for the various publications I write for. Which explains to me why maybe I missed a few of those goals I'd set for myself. To good reading in 2013! Redemption Trilogy on sale, and Choice of Kung Fu on sale soon! It's holiday sale time over at DriveThruRPG, and the Drunken Goblin has a whole stocking full of great stuff to offer -- including the first two books of the Redemption Trilogy. Right now, you can get the books for 99 cents each! You can go straight to my books here, or see what else is on sale on the Drunken Goblin page. In other good news, Choice of Kung Fu has been submitted to online app sellers, and it should be appearing on the market just in time for Christmas. Despite the awesome Adam Morse sending me e-mails to keep me up to date on the launch date, I find myself semi-compulsively visiting the Choice of Games home page, so I can be among the first to see the public announcement when it hits. In the meantime, there are a few new games I haven't finished playing through, and I want to try them out before I start on my next game pitch! I probably don't actually have enough links for an extravaganza, but it sounded good in my head, so I'll let it stand. I've been waiting until it was public to announce this, and since this interview at Operation Awesome is up, I'm going to say that makes the news officially out there: lyster , aka Max Gladstone, is being represented by Weronika Janczuk of D4EO Literary Agency! He talks about it on his blog here. So many congratulations, Max! The world is one step closer to seeing your awesomeness in print! New bits of my writing on the Web: a series review I did for School Library Journal is up here. The history column is progressing with some fun questions and answers. I got to write about the mysterious Great Oak at Double Beach, which no one remembers coming down; a wacky local legend about early governor of Connecticut Gurdon Saltonstall and the lake that bears his name; and weird road names in Branford and how they came to be. I've also started doing some articles for Branford Patch beyond the column, the first of which is about our local toy store, Kid Wishes, closing the bricks and mortar store and moving online.. Speaking of e-tailers and e-book sales (with just a slight segue jump), Chuck Wendig wrote a great piece on how the low ball prices on e-books can impact your favorite authors. Don't get me wrong -- I love getting books at the $3 price point. sartorias 's books are available at around that price over at Book View Cafe. I priced Into the Reach and Departure at under the $5 mark. jeff_duntemann 's new novella and an accompanying novella by James R. Strickland are priced together at $2.99 at Barnes and Noble, and will soon be on Kindle for the same price. Clearly, authors I know and respect are offering their fiction at rates that are incredibly affordable -- less, as Cat Valente says, than folks pay for a cup of designer coffee. I don't know how the business model will shape out, but it is interesting to watch. And I agree with (and am a follower of) Chuck's final point: if you like a writer, buy their stuff, and recommend that your friends do the same. I don't always have room in my budget to do so, and I may hold off until after the release date when cash is flowing more freely (and my review pile has fewer books in it! ), but I try to support the authors I really want to keep writing more books. And last in e-book news, Kindle owners are in luck: they'll be able to start borrowing books from their libraries just like nook and Sony users! PW's link is down, weirdly, but here's the news from Venture Beat. No word yet on a time frame, but I'm super psyched that Amazon decided to make library lending possible for the Kindle. It's a big win for libraries! Actually, that ended up being more links than I thought I had. Ta da, extravaganza complete! No guest blog today, in honor of my first participation in a huge giveaway contest. I've been talking about Barbara Vey's anniversary bash all week, and today's party, set in a castle, features a give away of a copy of Into the Reach, alongside a number of other amazing prizes (like e-readers!). Please pop by and comment! I figure it's been a long time since I posted anything from the "Redemption Trilogy" on the blog, so in honor of Into the Reach being a prize, I thought I'd post an excerpt. Enjoy! In his years as a knight, he’d learned that there were two types of people in the world: those who thought that being called on by their superior commander was a good thing, and those who wondered, even when they were not guilty, what they had done wrong. And even though every time he’d been called upon by his superiors it was to be given a greater opportunity to serve his people and his city, he was the second type. So now, as he, Lydia, Taru, and the Osarian called Nara, waited to be let in to Watchman Johnny Twostep’s office, he felt the same old anxiety return. His shoulders clenched beneath his heavy armor, and trails of nervous sweat added to the dampness his scalp beneath his hair, still sticky from the heat of combat. When they were finally let in, Taru and Lydia practically flowed into the office with the assurance that they were about to be praised for having saved the lives of villagers—though Taru looked more serious than Kennerly had seen him before. He and Nara both hung back, and when he glanced over at her, he saw the guilty expression on her face that he knew he wore himself. She looked at him in surprise, but put her hand gently on his elbow, and they stepped into the room together. Second post of the day -- when was the last time that happened on this blog? Over the past week or so, I've been e-mailing back and forth with the amazing Shawn Merwin (also known as Super Shawn, but don't let him know I spoiled his secret identity!). He asked me a bunch of questions about writing Into the Reach as a shared-world novel, and I answered them in detail. The result is this interview over at Critical Hits. 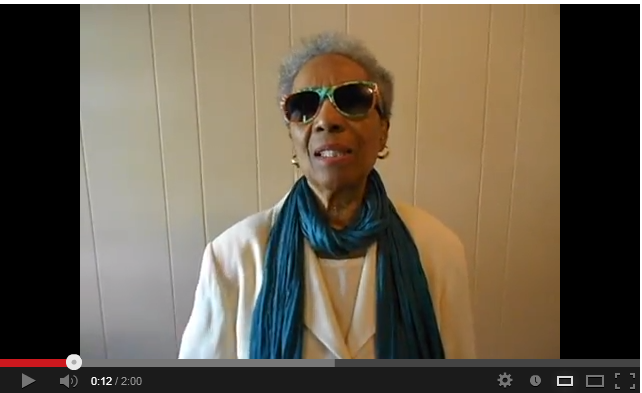 When you get a chance, check it out! For a change, I'm actually the guest blogger instead of the blog hostee! lbickle was kind enough to offer me a little space on not one, but three of her blogs! You can find my little piece on writing in other people's worlds here at Laura's main blog or at her Alayna Williams blog. I should have several more spots coming up soon -- I may have a couple of podcasts upcoming, along with an interview conducted by editor extraordinaire, Shawn Merwin. Hurrah for celebrating the e-book release! I also now have a facebook fan page where I'll be linking to all of these crazy guest blogs and interviews and such. A thought for the day: I've discovered that when I pick up a book and expect not to like it, and then end up discovering that I really do enjoy it, I like it more than I would have if I'd thought I was going to love it. Conversely, when I pick up a book I expect to like, and I don't, I'm even more disappointed and feel more dislike than I might have with no expectations. First, Random House, the last of the big six to hold-out on the agency model (making it possible for booksellers to offer discounts and promotions on their books) has succumbed, possibly due to the announcement of the new iPad. I don't necessarily think the agency model is a bad thing. I'm glad for writers to be getting their fair share of royalties. But I'm also a long-time Barnes and Noble member. That discount I get on print books can't be used on e-books, I believe due to the agency model. So it certainly makes memberships like the B&N one less useful. I imagine this is equally true for other stores offering loyalty incentives. It looks like the agency model is industry standard from here out, however. Maybe that will give some advantage to small presses that release e-books on the non-agency model – or maybe soon we won't recall what e-book purchasing was like before the agency model fell into place. HarperCollins made some moves of its own this week, impacting library e-book lending. The company has decided that e-books should only be loaned 26 times before the library needs to lease a new copy. In response, some librarians are calling for a boycott. I'm still doing some research on this to decide whether it merits a rant about the way things are changing in the industry. I do think it's bad business to offer a product or service and then change the way that product or service is offered in such a way that the consumer loses out. I have not heard whether HC is going to be lowering its e-book prices for libraries to accommodate this change – which, if they were, would make me think, well, at least they're trying to make this pill easier to swallow. I e-mailed local library buyers asking about the average number of circulations a hardcover book can withstand, and 26 is actually not an unreasonable expectation for a very popular book. (The range the fiction buyer e-mailed me varied, but numbers like 18 and 33 and 25 make 26 seem in the ballpark.) Hardcover books are not eternal, of course. E-books incur no physical damage when they're loaned out the way that hardcovers or paperbacks do. Saying that there should be some limit on the number of times the e-books can be loaned does strike me as somewhat reasonable – though, again, I'd love to see some carrot being offered to librarians, such as a lower price, to make up for the change in policy. Overall, though, libraries are not a cash cow. Many are struggling with budgets, and materials are only a portion of a library's expenses. I don't really think a boycott is going to be necessary from libraries: I do think HarperCollins is likely to see its sales drop as libraries make purchases that will stay in their collections. If I were a book buyer for a library and I had the choice between purchasing popular books that would never expire and popular books I could only loan out for about a year, I'd certainly select more from the first category than from the second category. It would allow me to stretch my budget further and acquire more books for my patrons to have access to. The cost/benefit analysis of buying HarperCollins titles is going to change, and it will surprise me greatly if they don't see an impact on purchases from libraries based on this decision – not out of moral outrage, but out of simple, logical budgeting. How is it February? And Monday again? I keep having to turn the pages of my calendar. Time stops for no writer, it seems. Unless you have one of those really nacky time-stopping devices, but those are, admittedly, tough to come by, especially in this economy. It's been a long time between updates, largely because I've been busy with review assignments and reference book work, which aren't so exciting to tell you about. I did recently begin writing a column for Branford Patch, called "The Town with Five Main Streets." It's a weekly column about the history of Branford, Connecticut, and starting next week, it's taking on a question and answer format. So, if you have a question about Branford's history, or just want to give me some new material to research, I hope you'll go check out the column and post either in the comments or in the Q&A area of Branford Patch. If you're more interested in my fiction, and maybe you haven't gotten the chance to read Into the Reach and Departure, as they became hard to track down in print, I'm pleased to announce that they're available as e-books through DriveThruRPG! The rights have been released from the publisher back to me, and I'm delighted to be working with Matt McElroy, who is my review editor at Flames Rising, to make them available again as e-books. The really good news is that I'll have the chance to release Regaining Home, the third book in the trilogy, in the same format! The manuscript has been completed for a long time, but the editorial process stalled out before we could release it. I don't have a date yet for when I'm likely to make it available, but you can rest assured that instead of "maybe it will be released eventually," it will definitely be coming into e-print. The speed with which I'm able to get the edits done and the files ready for e-book may depend on how sales of the first two books progress -- meaning, I can take time away from other paying work more easily if I know I have an audience waiting. I made a quick link to my DriveThru store here: http://tinyurl.com/aja-ebooks, but you can also go to DriveThruRPG.com and search for Alana Abbott (which brings up several other books I've contributed to) or Virgil and Beatrice, which is the store name for everything I list on DriveThru. Thanks to everyone here for your continued interest in my writing, and your support of my career! Anton Strout/ antonstrout has the fourth book of his Simon Canderous series, Dead Waters, releasing at the end of the month. Join the facebook party! Looking to the beginning of March, watch out for Accidentally Catty, the latest Accidental book by Dakota Cassidy. It's quite a line up! Whatever you're doing with your February, get out there and read something fun! Yesterday sartorias posted about her recent collaboration with rachelmanija, and I thought I'd talk a little bit about my own experiences with collaborating. In some ways, I feel like I'm almost always collaborating on my storytelling. As a kid, I played a lot of let's pretend with my surrogate big sister and my actual little sister, saving the world as a space hero (using a swingset as our space ship -- I remember one time we got medals from the president), traveling across the prairie as pioneers (a boulder in the back yard was our wagon), and running bad guys (I don't remember what kind) in the winter by sliding down a big neighborhood snow pile. And when I started writing, I played in other people's worlds. The first fiction I remember writing was based on an old comic of my mom's from when she was a child. I wrote a play featuring Mickey and Minnie Mouse when I was in upper elementary school, using the style I saw on the shorts on the New Mickey Mouse Club. Shortly thereafter, I wrote a script for the Teenage Mutant Ninja Turtles cartoon. In middle school, I worked on a long Star Wars novel that, naively, I expected to submit to Lucasfilm; I was devastated to learn you had to be invited to write for the franchise. It was while writing the Star Wars piece that I started writing an original story. I'd read about a contest in Disney Adventures magazine for a new super hero; I designed one that I got so attached to, I redesigned her (rights to the entries were owned by Disney after submitting, so she had to be revamped) and wrote my first novel. I discovered as a high school freshman just how many publishers didn't want to look at stories with anthropomorphic animals, and since one of her main powers was talking to animals, well, that was a stumbling block. There's still some good material in the young writing, though I'd rewrite the entire story now in a different setting if I ever got back to it. In high school, I started writing short stories about children with dragon powers; I shared them with a friend and he wrote some short stories back. It was my world -- I'd made the rules -- but he played in it. I shortly thereafter joined his D&D group (after being, at the time, the youngest invited), and I started group storytelling in D&D, which is a fabulously collaborative format. I collaborated once on a short story in college, which I still think is quite a good piece, and wonder if I shouldn't contact my cowriter and see if we should send it around. We only ever submitted it to the L. Ron Hubbard "Writers of the Future" contest, and now I wonder if, as a co-written piece, it was even eligible. In that effort, we took turns writing sections, but since we were local (just across campus), I remember talking out quite a bit of it as well, and editing each other's sections. I don't know that it would have worked long term as a collaborative relationship, but for the duration of the assignment, it was fun. Though I've done plenty of other non-collaborative writing, it didn't surprise me to end up first published with shared-world fiction. Into the Reach and Departure (and the still sitting in my drawer conclusion, Regaining Home) take place in someone else's world -- albeit one I helped flesh out quite a bit. My ownership rights are dubious (hence the drawer) because I didn't create the world. The writing experience, however, was great -- I liked the whole goal of the novels not only being a good story, but also being designed to make the world more appealing, to tie in aspects and characters from the setting as wink and a nod to the roleplaying audience. And now I'm writing Blood and Tumult back and forth with lyster, both of us playing in a world we didn't create. I've really enjoyed writing in the world of Baeg Tobar; I feel like it's a strong setting with really great elements, and I hope that our serial novel both embraces and enhances the work that's gone before. It's a huge privilege to work with lyster, who I really believe is destined for stardom (his manuscript that's making the rounds right now was easily in the top five books I read last year, and probably in the top two -- and that without the benefit of an editor). He's not only a motivating factor (I keep his message that he's sent me a new chapter as an "unread" message in my inbox, so my e-mail reminds me that I need to send him a chapter back every time I open it). He's also keeping the story fresh for me -- we were required to work from an outline, which always takes some of the excitement out of the actual writing process for me, because I know what's going to happen next. So having his take on things every two chapters makes it a lot more fun to see the twists and turns. I think stylistically he has a better sense of prose than I do, and so I'm striving to make my prose live up to his. Of course, I'm sure my own style comes through as well, and I hope that by the time it's finished, we'll both have mimicked each other's styles so successfully that the whole thing will blend into a complete piece. Egads, has it been so long? I had company all last week (delightful company -- my parents came to visit from Michigan!) which meant my internet time was somewhat limited, as we were busy spending time in each others' company. Sadly, we did not get a chance to play bridge, but that can wait until the next time. First order of business: cinda_cite, you have won the book & CD combo! Congrats. I hope you enjoy Common Shiner. :) I'll talk more about my own thoughts on music and myth later in the week. You must have heard it by now, because it's all over the news: Disney bought Marvel. I have no pithy commentary to add at this time (especially since Jeph Jacques ( qcjeph) of Questionable Content already took the cake with his twitter feed, @jephjacques, which is NSFW). One of my fellow substrate members relaunched his two websites today: ThomasScofield.com and Nursery Tymes. He also shared a great blog entry about what your job is as a writer, from the blog of James Scott Bell. All are worth a look. In slightly more self-centered news, I got asked by a fellow alum of Simon's Rock if I'd sign a copy of Into the Reach for his daughter. They'd made a bet of some kind, and her reward was that he'd buy her a book and get it signed by the author for her. She must have won, because she got the book (and enjoyed it! ), and it'll soon be on its way for me to sign it and send it back. :) That definitely made my day.